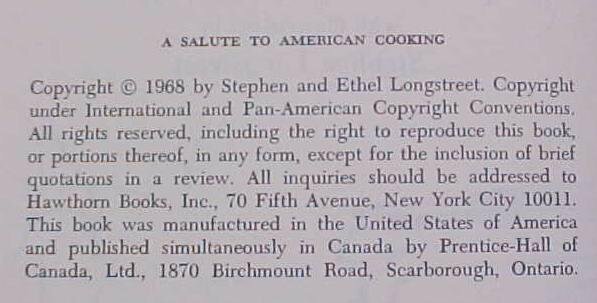 This is a very nice hardback recipe cookbook titled "A Salute To American Cooking" by Stephen and Ethel Longstreet. It is copyright in 1968 by Stephen and Ethel Longstreet, and Pan-American Copyright Conventions. It has a dust cover that has some smaller rips mostly at the top, but is nearly fully intact. 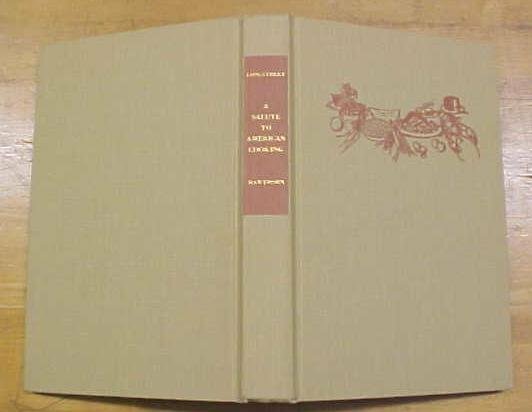 The hardback cover is in very good, to like new condition, beige in color with red highlight design and gold lettering on the spine. The pages are very clean and white, a past owner has put in a private library sticker, neatly on a front blank page, otherwise appears to be a new book. 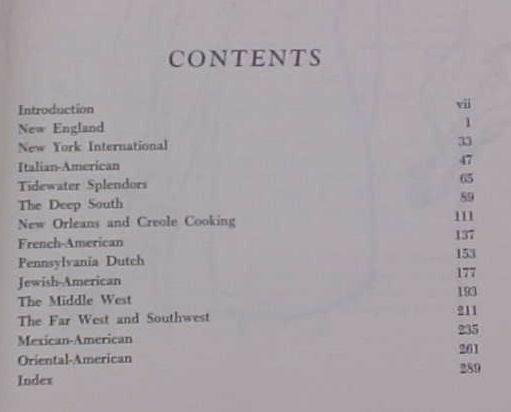 This book's focus is on American cooking based on ethnic styles such as Italian, French, Jewish, Middle West, Far West, Mexican, and Oriental-American cooking recipes, also includes New England, New York, Tidewater, The Deep South, Creole, & Pennslvania Dutch. There is 287 pages, plus an complete index, makes it easy to use. 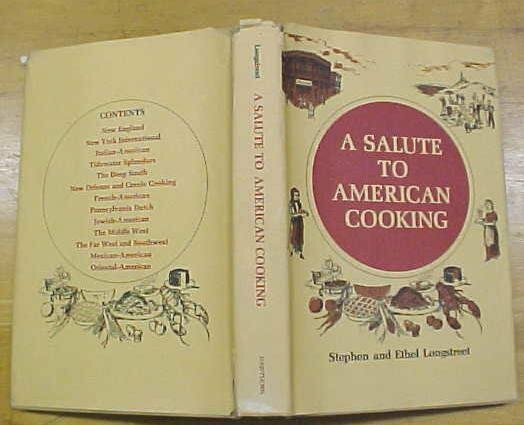 Items Similar To "A Salute To American Cooking Cookbook"